As many people know, I am a bit of a science geek. I was the science geek in high school, and I even got a degree in physics and astronomy in University. Science is something that drives a lot of my thoughts. I’m always reading about science, looking around at nature, and looking up at the sky. I love science, yet I enjoy reading science fiction, even if it isn’t very scientifically accurate. But on the topic of science, I saw something amazing earlier this week. I’m sure many of you saw the same thing. 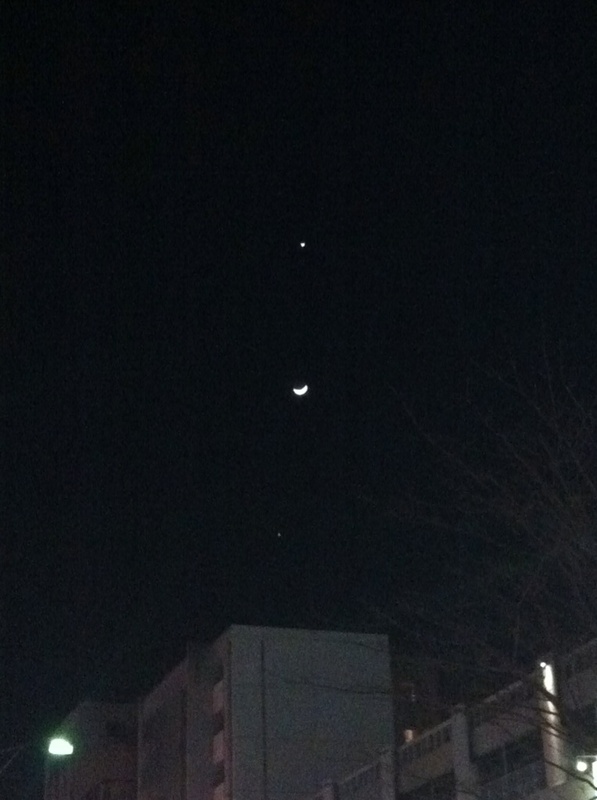 There was a conjunction of 3 bright lights in the sky, Venus, Jupiter and the crescent moon. I hadn’t seen anything this wonderful in the sky since the planetary alignment of 2002, when all 5 visible planets could be seen at above the horizon after sunset. Incidentally, that was the first time I saw Mercury. For the past month, Venus and Jupiter have been hanging out together in the evening sky to the west after sunset. I managed to get a couple of pictures of this sight with my phone. 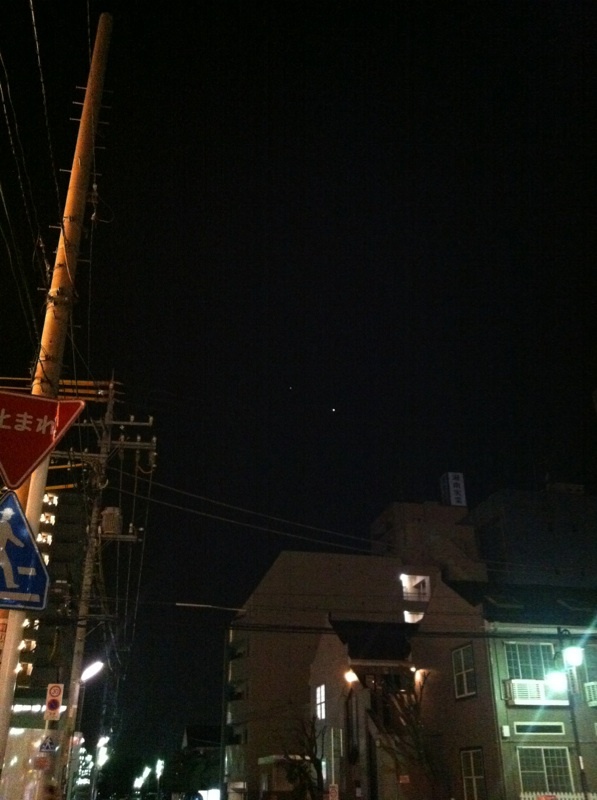 Venus and Jupiter over the Fujisawa sky. Venus is the brighter planet. 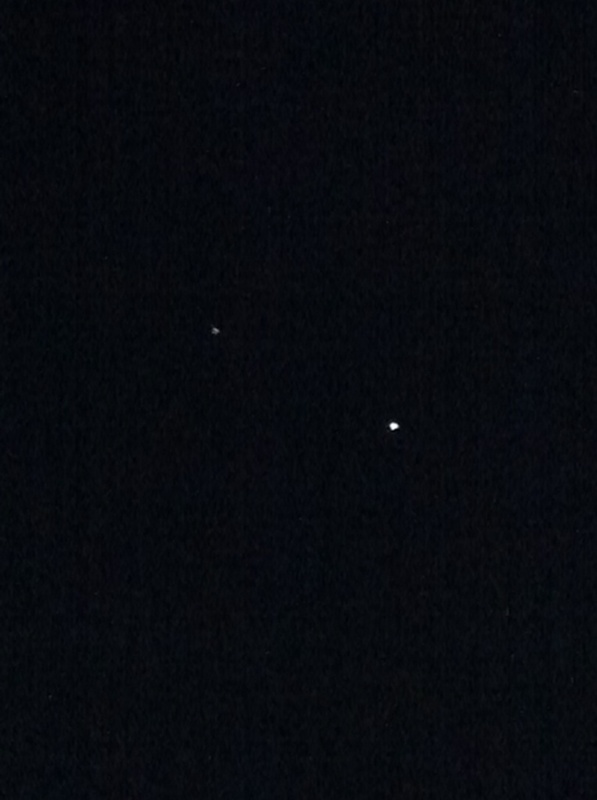 Here's a closer view of Venus and Jupiter. I was quite impressed when I saw this. At the same time, red Mars was shining brightly overhead, while Saturn was rising to the east along with the moon. But this wasn’t the best to be seen. The moon moved its way across the sky as it always does, and settle right between Venus and Jupiter. Perfect! It was a wonderful opportunity to take another picture of a celestial meeting. A crescent moon slipped between Venus and Jupiter. Mars and Saturn were also visible at the time, so 4 of the 5 visible planets were above the horizon. Unfortunately, Mercury is on the wrong side of the sun to be visible in the evening. With good timing, it could be visible just before sunrise, though. This has been an incredible winter and spring to watch the skies. I was treated to a total lunar eclipse and I was able to see a few meteors during a meteor shower. I hope you’ve all enjoyed watching the same amazing events. It took me a long time to get around to reading this. It’s so famous, but I didn’t start reading it until recently. This review is for book 1, “The Hitchhiker’s Guide to the Galaxy,” although I am reading the 4 part Omnibus edition. I will review each book separately. This book is an adaptation of a radio show, both written by Douglas Adams. It starts out on Earth, and as the title suggests, the main characters hitchhike in the galaxy. The story starts out with Arthur Dent and Ford Prefect, both colourful characters, but when Zaphod Beeblebrox, the robot Marvin, and Trillian join, it gets even more colourful. This wacky mix of characters cannot be taken seriously at all. The radio show was a comedy, and so is this book. I find Ford Prefect is probably my favourite character so far, very much in the style of much of British comedy. The story itself moves at a fast pace, not giving you much time in one place. A lot happens in a short time. Even the chapters are short. What I find difficult is that while the plot is interesting, I can’t completely get into it like I can with more serious novels. I love Terry Pratchett’s works, but this book is even more absurd, and even though it is funny, I didn’t find it laugh out loud funny. I’m not saying it isn’t enjoyable. I enjoyed reading it, and I am interested in seeing where the story leads to next. One thing I wish I could find is a pronunciation guide. Some names and places are difficult to pronounce. I guess part of the fun is trying to say them out loud. This is a classic book, and a very short one. I would recommend it to anyone with a good sense of humour and at least a passing interest in sci-fi. For those of you who know me, and know my other blogs, you will have seen this. 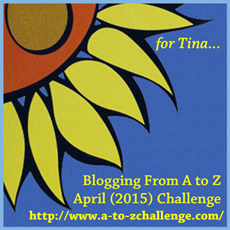 But if you are only following this blog, I’d like you to read something. Please go here (the anniversary) and here (my full experience) to read about the Great Tohoku Earthquake and tsunami in Japan. I got to experience it firsthand. On another note, I haven’t updated recently, as I’ve been quite busy. I have a book review to write and post soon.